A challenge for artists and funders in this intersectional work is to advance both aesthetic and community aims. How do programs balance community development needs and goals with opportunities for artists to experiment? What kinds of supports are needed to help community partners who are crucial to the impact of the work, fully engage with artists? What services best support artists who are building their capacity for public realm production and community engagement? What funding strategies and practice standards help ensure projects that meet high marks for both aesthetic achievement and community value? 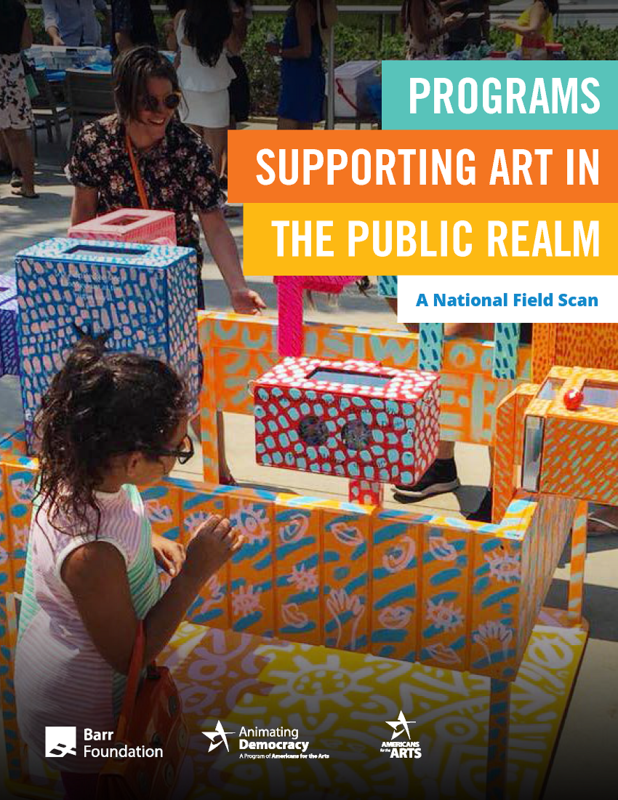 In the spirit of advancing field dialogue, Americans for the Arts and the Barr Foundation are happy to share Programs Supporting Art in the Public Realm: A National Field Scan. 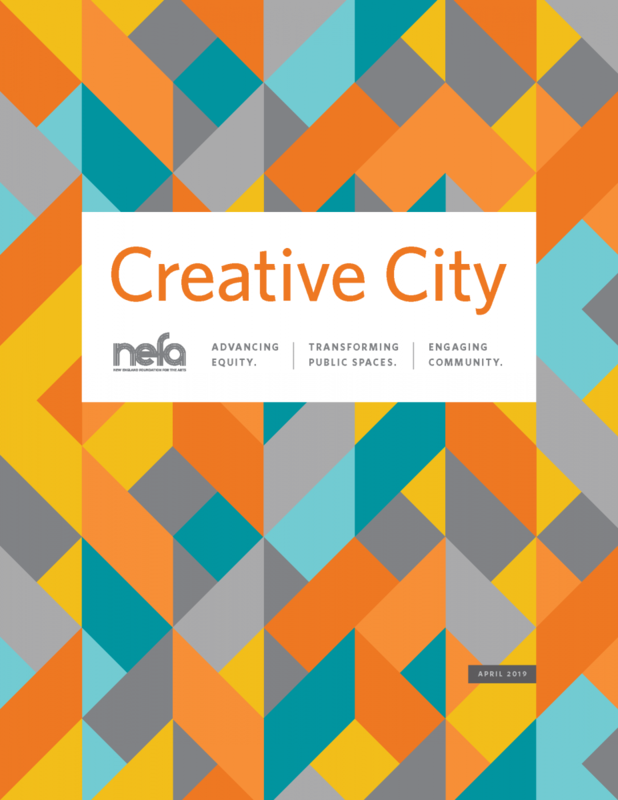 The scan, while not intended to be comprehensive, highlights overarching themes and offers snapshots of 28 programs supporting and building capacity for artists to work in the public realm. Detailed summaries from interviews with seven selected programs provide additional insights. The Scan identified grant programs supporting strong and diverse artistic expression aiming to empower artists to be active and creative citizens in their communities; encourage partnerships between artists and community organizations; offer professional development training and technical assistance; utilize cohort-style professional development and/or networking model; and provide opportunities for artists to enhance their visibility and public voice.